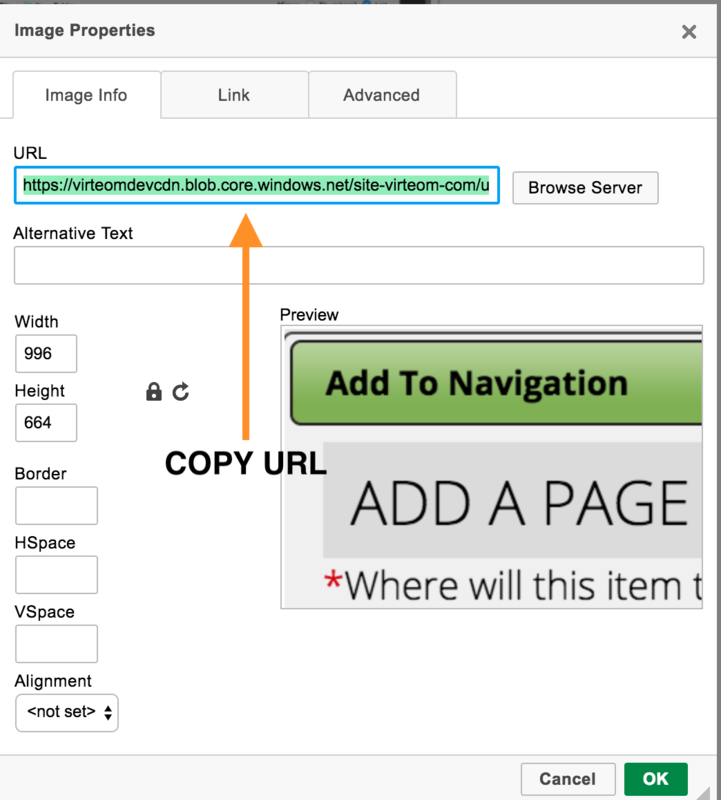 Adding and deleting pages that exist within your website is easy with Virteom CMS - just check it out here. But what if you want a link to go out to a different website? Or to a PDF? That's a little bit less intuitive. In this how-to article, we'll go over how to link to external web pages in your navigation and how to link to documents. 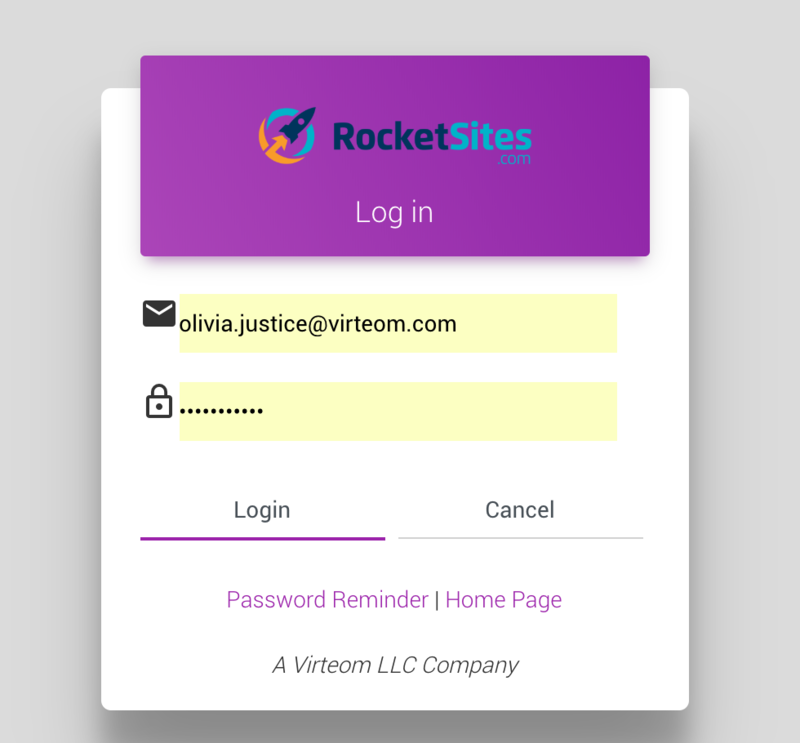 First things first, you'll need to login to the back-end of your website. This is simply your domain URL with /virteom tagged on the end. Once you're on the 'Site Pages' you'll see your entire website structure. To add an external link to your navigation, locate the 'Main' section and click the '+' next to it. 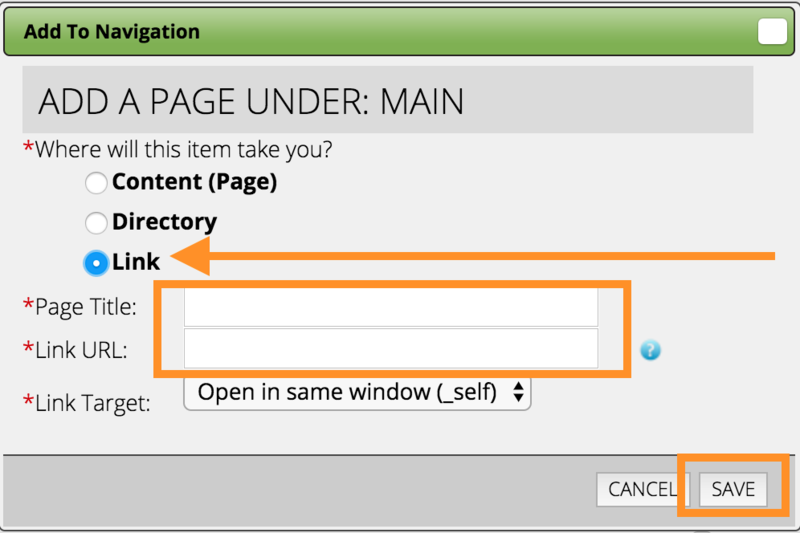 A new window will popup and ask whether you're creating a New Page (Content), Directory, or a Link. Since you're linking out to an external website, click the 'Link' button. Once you click the 'Link' radio button, you will be able to enter the page name and paste in the external URL. In the 'Link URL' box, enter the external URL. If your new external link does not fit where you would like it, you can click the icon next to the page name ( ) to drag it. In order to save your changes, click 'Save Order' (at the top-right) once your page is where you would like it. Now that you are in edit mode, Place your cursor inside the editable zone where you want the image to appear. 4. Click on the add image icon. It will look like a little photo of a house and it's next to the flag icon. This will open a new window. After you click the icon this image properties box will show up. Now you need to browse for the image that you want to place on the page. Click the "Browse Server" button to browse for an image. Once you click "Browse Server" the Image File Browser will appear. In here you can either select an image that you previously uploaded or you can upload one from your computer to the site. We are going to show you how to upload one from your computer. Click "Upload File". After you click "Upload File" a new box will appear. This is the file uploader box. To browse for a file on your computer click the "Browse File" box. Now go tot he folder on your computer that has the image that you want to upload. You can select one or more images and upload them all at the same time. Once you find the image(s) click the "Open" button to load them into the uploader window. All of your images should be ready to upload. When you are ready, click the "Upload" button to get the images to the server. Now that you've uploaded the images, browse to the folder that you loaded the image(s) to and select the image by clicking on the blue check next to the image to select it to insert into the webpage. Once your image is uploaded, copy the URL and exit the window. For example, a PDF of a calendar might be called "Calendar", but the 'Link URL' is the text that starts with "https://...."
You have now added an external link to your website! If you run into any issues adding pages to your navigation, contact our support desk.